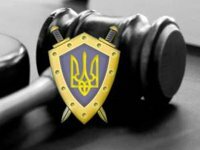 The Ukrainian Prosecutor General's Office (PGO) has sent a request for extradition of citizen of Ukraine Dmytro Malinovsky detained in France for fraud, the press service of the prosecutor's office of Kyiv has reported. "PGO has sent a request to the competent authorities of France for the extradition of 36-year old citizen of Ukraine detained on the territory of this country to face criminal charges," the prosecutor's office of Kyiv said on its Facebook page. The prosecutor's office of Kyiv confirmed that Malinovsky in March-April 2015 on the disguise of signing a contract to supply mineral fertilizers made by OJSC Odesa Port-Side Plant embezzled the funds of a private company in the amount of over EUR 12 million, which were sent as an advance payment. Later, these funds were transferred to accounts of companies registered in offshore zones and affiliated with him. The law enforcers also established that the fraudster used the forged death certificate and currently uses the forged passport of a citizen of another country. "According to the results of the pretrial investigation, the said person was informed in absentia of suspicion under Part 4 of Article 190 of the Criminal Code of Ukraine (fraud committed on a large scale or by an organized group)," the prosecutor's office said. On August 1, 2018, the investigative unit of the prosecutor's office of Kyiv put Malinovsky on the international wanted list. On October 5, 2018, he was detained by law enforcement authorities of France.